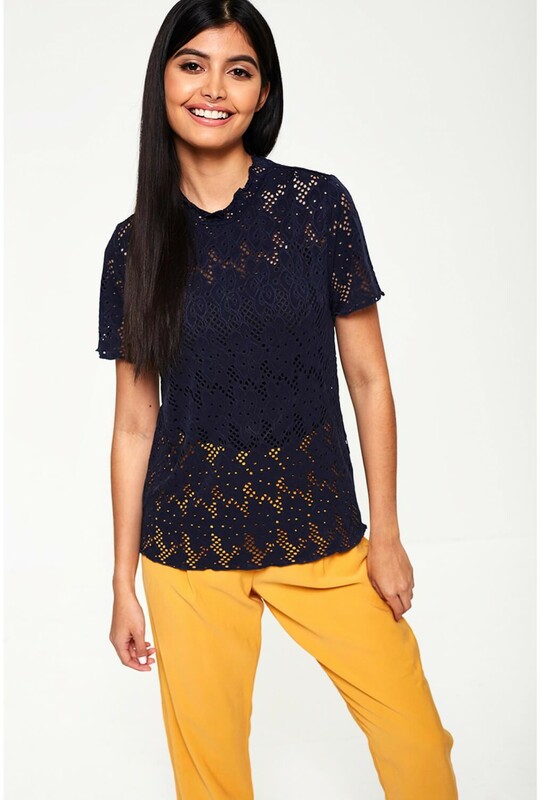 Feminine and elegant, this navy top from VILA is perfect for wearing with a host of separates lineup. 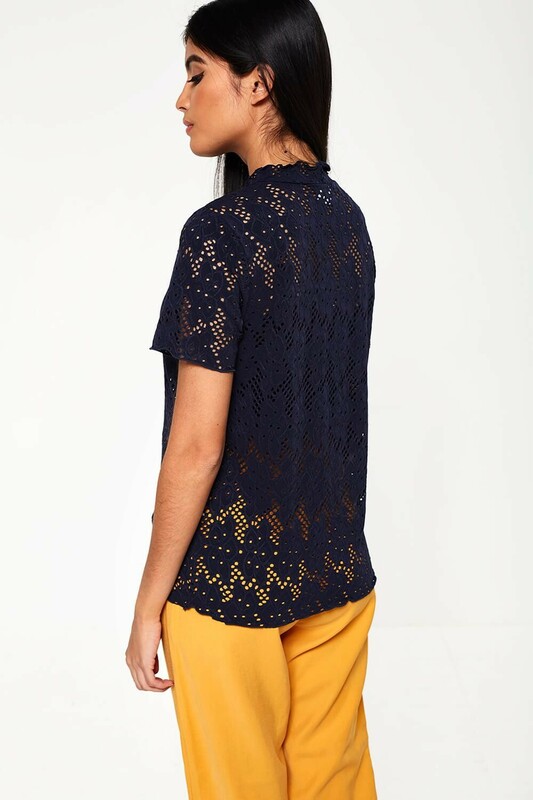 Featuring open stitch detailing, high frill neck and short sleeves. 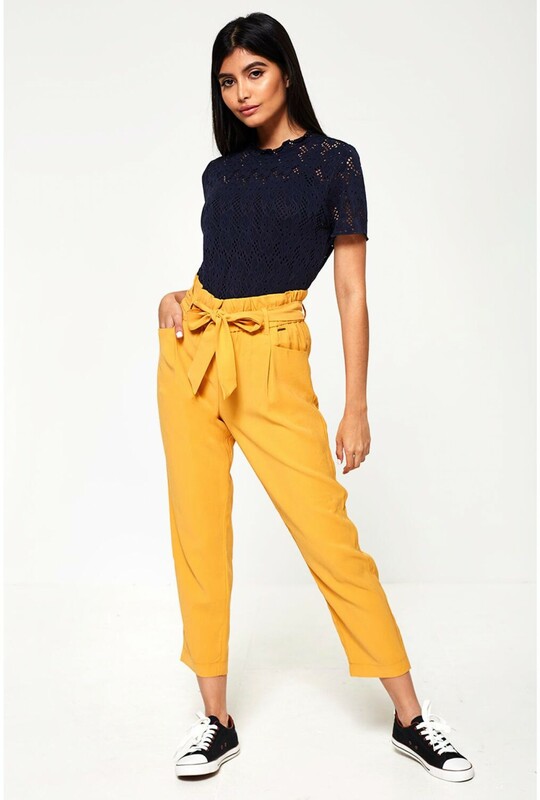 Style tucked into trousers or skirts.